One of our favorite October events was the Tacoma Studio Tours! November is a good month. Why? Because every month is good, each with its own identity, each approaching, then passing without asking if we’re ready for it to come or go. So, we might as well find the good. If the good for you is staying home with a hot toddy, or cup of tea, cider, or cocoa, a book, and a board game, I’d suggest you do that. If you feel like you may just want to open the front door and get out into the world, come back to this list; see what’s happening around this city we call home. Feed253 has been giving turkey dinners to great places like the Tacoma Rescue Mission since 2009, but their mission goes way beyond Thanksgiving dinner. Feed253 works hard year round helping get food to local food banks such as YWCA Pierce County, St. Leo Food Connection, the Tacoma Rescue Mission, and Network Tacoma. They try their best to make it easy for donors (hey, that could be you and me!) to give meaningfully to spread the food wealth around our community. And it’s time for their annual fundraiser with live music, food, and beverages. If you’re coming, we’ll see you there! If it’s sold out by the time you read this, don’t feel bad, just follow their Facebook page, or subscribe to their newsletter and get in on the next opportunity. If you haven’t been to one of the Tacoma Refugee Choir concerts yet, it’s time. We attended one downtown and discovered we weren’t at your typical concert. There was so much singing and dancing along, so many smiles, and plenty of positive energy to go around. It’s fun. The Tacoma Refugee Choir has a mission to “build a more welcoming community through song.” You’ll hear the words “unite,” “uplift,” and “inspire.” Sounds good to me. If you love piano music, have fond memories of childhood lessons, still play, or maybe have kids who are getting interested in music, come over to this informal concert in the Hilltop Neighborhood. The concert features pianist Jimothy Rogers (music director of Peace), vocal music, and student performers. I can personally recommend volunteering with Tacoma Community House. TCH works daily in our community (and has been working for 108 years!) to support and advocate for immigrants and refugees in our community. The work of TCH is also strongly focused on education and employment. Learn all about Tacoma Community House here! Volunteer to tutor in a variety of subjects, show up for Talk Time to just give someone learning English a chance to practice with a friendly person, help with event planning, there are tons of ways to get involved. If you're looking for a way to give some of your time, your friendliness, your patience, your compassion, start by attending an orientation at Tacoma Community House. You’ll find you aren’t just giving, but receiving as well! What do you do? What do you dream of doing? How can we help? This is the conversation Allison will be fostering in a cozy and fun environment. Share for 1 -2 minutes, listen to others, mix, mingle, connect, go deeper, and build your network of support. Feel free to bring business cards and event flyers to share! 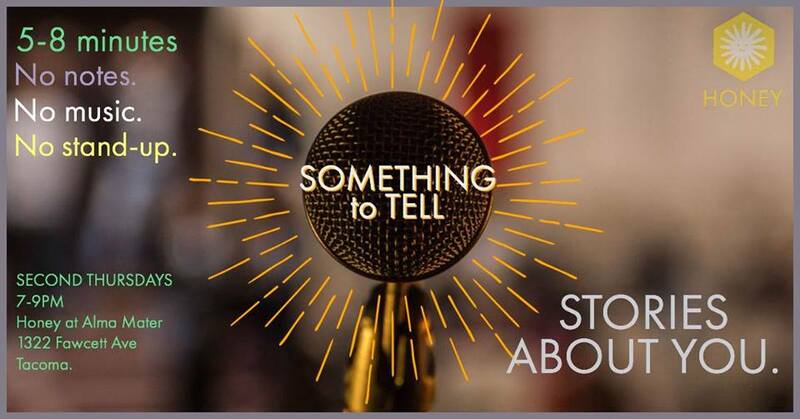 Tell your story, polished, rough, and in-between. Tell a story whose end you know, or one whose ending you can’t see. Just make sure its your story, make sure its true. Expect flexibility as you figure out how your story goes. 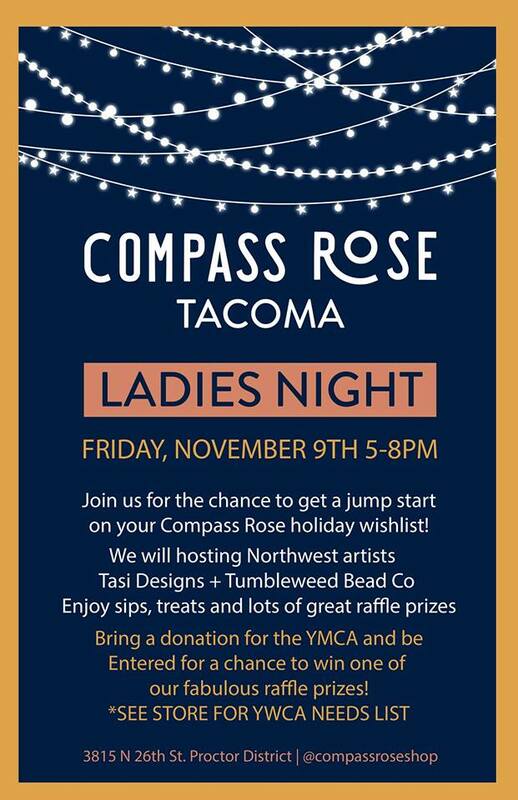 Bring a friend, or browse alone and meet a new one while enjoying sips and treats at the Proctor Compass Rose. You can add some wishes to your list, forget your to-do list, or cross-off some gifts from your giving list. Meet featured local jewelry designers, and enter a raffle by brining items to donate to the YWCA - spread the love! Important! Bring items to donate to the YWCA to enter a raffle (things like: new socks, undies, and pjs, gift cards to Safeway and Fred Meyer, cups and dishes, new toiletries for men, women, and babies, new coats, used cell phones). You can view the complete list of requested items here. Did you know there’s a new toy and book shop opening? Tucked in what’s developing into a nice little stretch of town near Tacoma Community College you’ll find Curious Bear next door to Paper Luxe (its sister company), which is next door to Pint Defiance. The gist of it is, this locally owned small business is welcome and is in good company! Craft Saturdays are a monthly event and this one coming up shifts the focus to games. 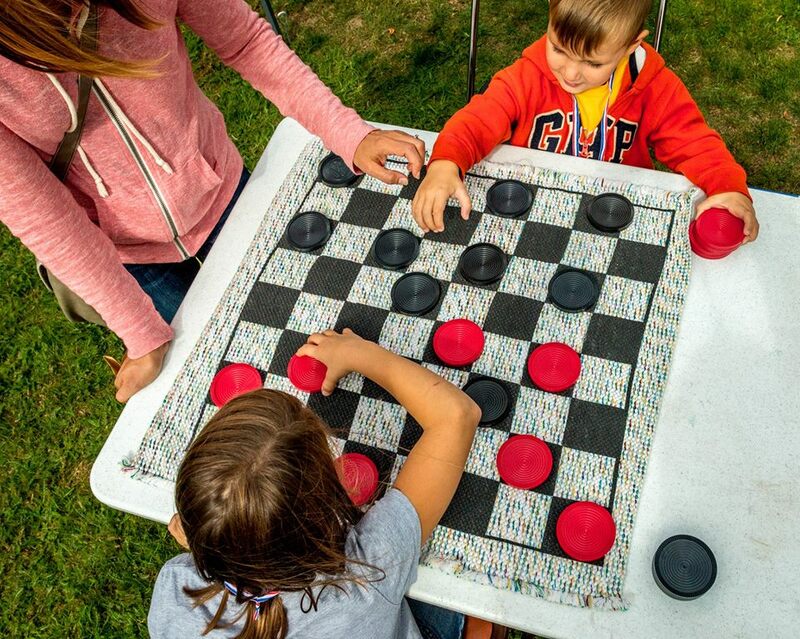 Try some Old Maid, Dominoes, Memory, Cribbage, Checkers, or Tic Tac Toe. The cabin is down in Old Town near the Ruston Way Waterfront, so if the weather is nice, you can take a stroll or run around on the beach afterwards. Part of a fall statewide series, “Moment of Truth: Journalism and Democracy in an Age of Misinformation” this Think and Drink event is a hosted conversation exploring the role of journalism in a democracy, changes to the industry due to the rise of social media, public trust, and whether or not to take President Trump’s threats to journalists seriously. You know about TED Talks right? Or the TED Radio Hour? This is an independently organized TED event in our neck of the woods. The theme is transitions, and the idea is that although transitions happen in a myriad of ways, and are experienced differently by each person, they are still a common experience that brings us together despite our differences. Hosted at JBLM with the thought that military and civilian populations can bond over this topic. Waste not, want not, right? We’ve all heard it. And we’ve all felt the pain of throwing away something we loved or used, the frustration of needing to buy a new one, or the sadness that we can’t buy a new one, that it was irreplaceable. 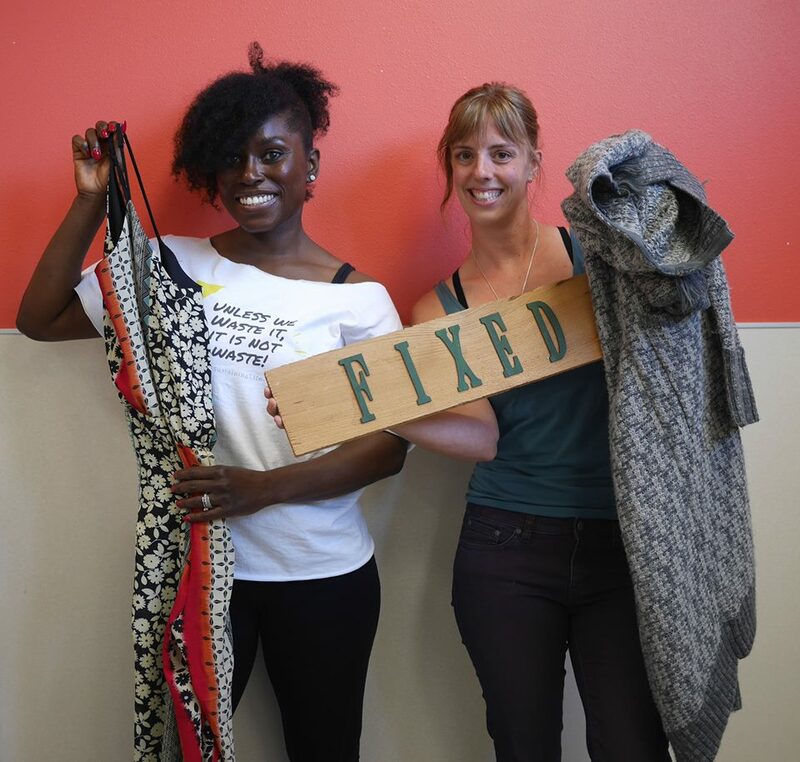 Fix-it Fairs are all about keeping useful and beloved items out of the landfill and keeping them in your hands and in your home. In my family we have a favorite phrase for stuff that we’ve been using forever, that’s maybe not quite good as new; we call it “still good.” Sometimes it may go too far, but I’d rather lean that way than lean toward waste and a rush for the next best thing. Yoga Wild encourages you to “take your yoga off the mat” in an act of service to the community. The purpose for November is gratitude, so at this month’s event participants will write letters to express gratefulness and thanks. Bring socks for the Tacoma Rescue Mission. This is a monthly event! Founded in 1989, the Hilltop Action Coalition is a non-profit organization seeking to organize, empower, inform, and advocate for the Hilltop community. With a mission to be the “Communications Anchor” for the Hilltop, an area undergoing rapid development, the HAC invites members of the community to come learn more at their monthly 3rd Monday meetings. On the way to the oven with Thanksgiving sweet potato pie. This isn’t a specific event; we just wanted to stop the list for a moment to wish you well! We hope you’ll be safe, warm, maybe even near people you love, and if all goes as it should, eating something delicious. Thanksgiving is fairly early this year, and after this you’ll start to see lots of local holiday markets filled with handmade delights. We’ll create another list for December with a focus on these handmade, fair trade, local holiday markets. They’re so fun! The Tacoma Night Market is going strong from summer into fall, and we’re glad. Shop small and local with a whole host of Tacoma and PNW vendors, eat, drink, enjoy music, all the usual goodness of the Tacoma Night Market but in a new location! No longer down on Pacific Ave, instead, head over to Alma Mater. Tacoma’s German themed Christmas Market! Explore the booths of many favorite local makers and maybe find just the right gift for someone you love. There will be delicious holiday treats for sale and vintage vendors too! Enjoy it all on the waterfront with the Point Ruston ice rink nearby making it even more festive. Don’t miss it! Make it a market day; start at the Striezelmarkt then head downtown for more vendors, arts, food, music, and community! 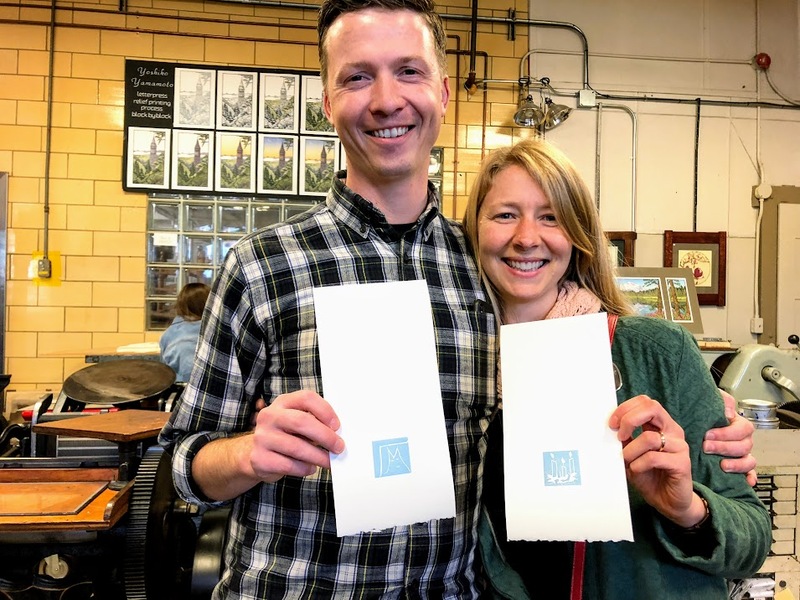 Door prizes for showing up and a raffle with ticket sales benefiting the 733 ARTS collective space and associated radio stations (check out their Facebook event for more info). Sing carols, take your photo with Santa, and see the lights! 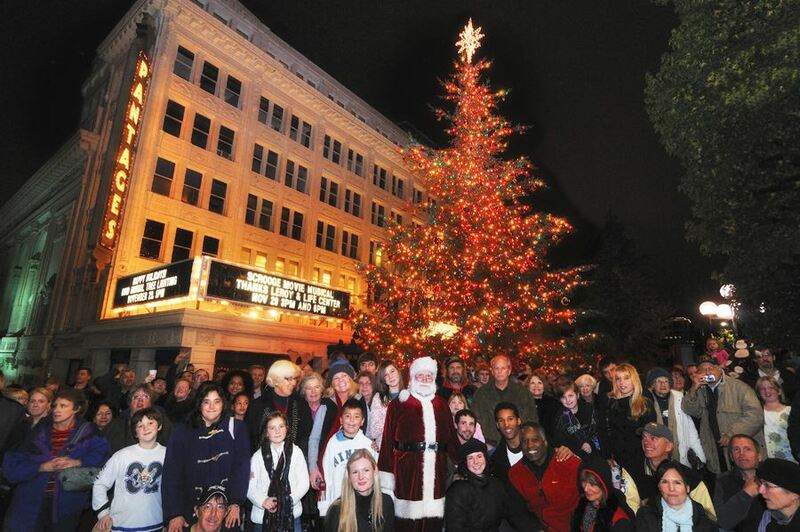 This is a solid Tacoma holiday tradition going strong since WWII, and you can continue the legacy with your friends and family. The last Tuesday of the month sip and eat at Matriarch, then sign-up for a reading with Leah Mueller, a professional Astrologer. She’s been reading Tarot cards for over 25 years and offers a compassionate and inclusive approach. There we have it, nineteen November events happening all over Tacoma from downtown, to the waterfront, from Hilltop to Proctor. We hope you have time for a little of that city roaming, and a lot of cozy home this month. As promised, we’ll be back in December with a new list that will include lots of holiday markets and Tacoma cheer. But first, November; no need to hurry, right? We’ll see you around!